Texas agencies saw the highest turnover rate they've had in the last five fiscal years after losing thousands of employees to retirement and low wages, and advocates for state workers are calling on lawmakers to increase pay. State worker turnover in the 2018 budget year was the highest it's been since auditors began tracking it in 1990, according to the Texas State Employees Union. In fiscal year 2017 the state worker turnover rate was 18.6 percent. Seth Hutchinson, vice president for the Texas State Employees Union, said that legislators “want to bury their heads in the sand" about pay continuing to be a problem. Hutchinson said if lawmakers don’t take action during the 86th legislative session starting Tuesday, “they’re not going to have a workforce left to do anything.” The union is calling on legislators for a $6,000 per year, across-the-board pay raise for all state workers from the Texas' $12.5 billion Rainy Day Fund. “You’ll ask any state employee, ‘Did you expect to get rich working for the state?’ and they’ll tell you no but they still expect to be able to live and pay rent and take of their families and they’re not able to do that right now,” Hutchinson said. Hutchinson said state employees are most often committed to their work and believe in their agency’s mission. He pointed to part of the State Auditor’s report showing that 72.6 percent of employees who took an exit survey said they would work for their agency again. 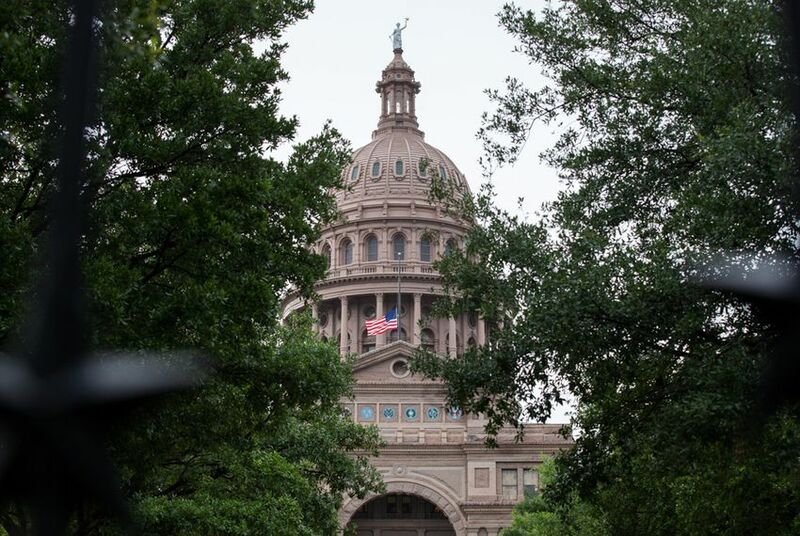 Most lawmakers agree the Rainy Day Fund should be used for natural disasters or a slow economy, and Texas Republicans often express reluctance to spend the money on salaries, facility maintenance or other services. Lawmakers are preparing for a session when the Rainy Day Fund could play a role in discussions to overhaul the way state and local governments fund public education and putting together a Hurricane Harvey state recovery package. Auditors found that employees younger than 30 left at the highest rate among all age group categories studied at 37.5 percent. In addition, employees with less than two years of state service were more most likely to leave their position. The Texas Juvenile Justice Department had the highest agency turnover rate at 29.8 percent in fiscal year 2018. The agency saw a 1.3 percent decrease from the previous year among the number of employees who left. The agency’s turnover is mostly among its correctional officers. Brian Sweany, a spokesperson for the Texas Juvenile Justice Department, said while he was glad to see the agency turnover go down, there’s more work to do. He said since Camille Cain, the executive director for the agency, arrived a year ago, she’s been focused on improving staff training and safety for the kids and employees. That includes requiring officers to wear body cameras and making sure the kids have water bottles that they carry with them, snacks available and increased hours of sleep. Sweany said changes like this make a difference with improving morale among the kids and preventing safety issues, allowing correctional officers to better work with them. Meanwhile, the Texas Health and Human Services Commission and Texas Department of Criminal Justice had the next highest agency turnover rates at 27.9 percent and 24.8 percent respectively. State salaries continue to be a problem for agencies with the report finding that “the lower an employee’s salary, the more likely the employee was to leave state employment.” Employees making less than $40,000 left at a higher rate than their peers earning more, according to the report. The State Auditor’s report exit survey results showed that 31.9 percent of workers said their new salary would be $10,001 or more higher than their current salary while another 21.8 percent said they would earn up to $5,000 more annually. It's uncertain how the Legislature will act on salary raise requests from agencies, but past wage increases have helped curb turnover. An example of that is a little more than two years ago when the Texas Department of Family and Protective Services was seeing high turnover and increased workloads among Child Protective Services caseworkers. At the time, the child welfare agency was making headlines over children sleeping in state offices, overworked caseworkers and some endangered children going unseen by workers. Just before the 2017 session, lawmakers increased worker salaries by $12,000 and during the session made a sweeping overhaul of the program. Agency officials and child welfare advocates credit the raises for the decreased staff turnover and caseloads. In fiscal year 2016, Child Protective Services caseworker turnover was 25.3 percent. It dropped to 18.4 percent the following year. While the majority of state agency employees left in 2018 on their own accord, auditors found 24.8 percent of former employees left because they were fired, there was a reduction in the workforce, they were forced to resign or they were let go without cause or warning. The state also considers an employee’s death an involuntary separation. Involuntary separations increased 4.3 percent from fiscal year 2017 to fiscal year 2018.